In 2009, the Italian Consorzio renamed the grape used to make Prosecco. It used to be just ‘Prosecco’; it became ‘Glera’. This name – probably of Slovenian origin (like the wine itself) – was adopted by the Italians as a protective ploy. By changing the grape name, the Italians freed up ‘Prosecco’ to become a Geographical Indicator (or GI). GIs are protected under European law and by changing its status Prosecco was trying to emulate Champagne (which is rigorously protected around the world). But the Italian Consorzio had not reckoned with the Australia in general and Australian-Italians in particular. The Prosecco grape (as it was then known) had become established and commercially successful in the King Valley to the north-east of Melbourne around the turn of the century. A first attempt by the Italians was fought off in 2013 when the Australian Trade Mark registry refused to consider the Italians’ application for GI registration. The Registrar cited the worldwide confusion over Prosecco (a grape or a style of wine), the long-term use of the Prosecco name as a grape variety since 1994 and the fact that registering the Prosecco GI would mean that Australians could no longer use the name Prosecco as the name of a grape variety. Australian Prosecco is hard to come by in the UK. The Dal Zotto family’s ‘Pucino Col Fondo’ is available here through Red Squirrel Wine (www.redsquirrelwine.com) and I tried a bottle last week. Bottled under a crown cap, it’s a cloudy lemon yellow with a lemon cheesecake nose and a beautifully bitter finish. Very good indeed! The name ‘Pucino Col Fondo’ has historical resonances of its own. 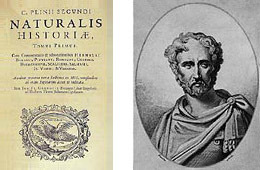 Pliny the Elder, writing in AD 77 or thereabouts, recorded that the wine of ‘Pucinum’ that was produced near the Adriatic in the province of Friuli was the finest available for ‘medicinal purposes’. Livia Augusta, the wife of the Emperor Augustus, apparently ‘attributed her longevity’ to this wine. That wine was probably not sparkling. It’s only in the mid nineteenth century that the first claims for sparkling Prosecco surface in Italy though the wine was well known for centuries before that date. ‘Col Fondo’ takes us back to the sparkling origins of prosecco. Prosecco is made by the tank method – rather than in bottle fermentation like Champagne – and the Dal Zotto wine is bottled without filtering out the lees that drift to the bottle of the fermentation tank. Hence the cloudy appearance. It slowly settles out in the glass with time. The battle over grape names is not confined to Prosecco. The GI battle over Prosecco is about to be re-fought in Australia. The Croatian dessert wine known as ‘Prosek’ has already gone under; Australian winemakers can’t use the Prosecco name on wines sold in the UK. Can Prosek survive an attack of Prosecco? There are Australian fears that if Prosecco is prohibited as a name for wine in Australia then others will follow. Moscato perhaps. Watch this space … and, if you get a chance, whether in the UK or in Australia, do try the King Valley wines. They’re very good.